World Carrousel is an international co-operative of community theaters which uses the technology of the Internet to work together on artistic projects. We build up practical and thematic solidarity between all participants, and stimulate the use of technology as a means towards sustainable glocal collaboration. 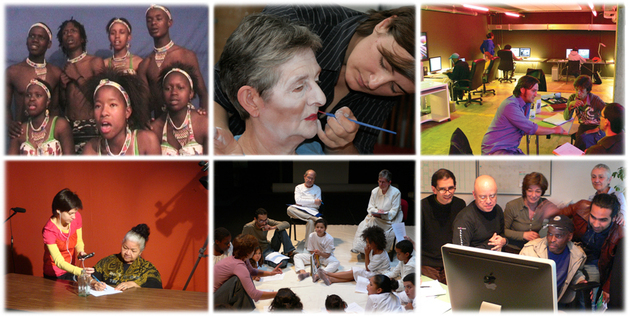 Between the partner organisations to realise multimedia projects and new works of theatre. Local partners work together on common themes with the core group and interact with the participants of the different continents. Within World Carrousel starting artists get the opportunity to get to know the methods of the different partners. Where kids and seniors learn how to work with new media and creative processes in a very accessible way. 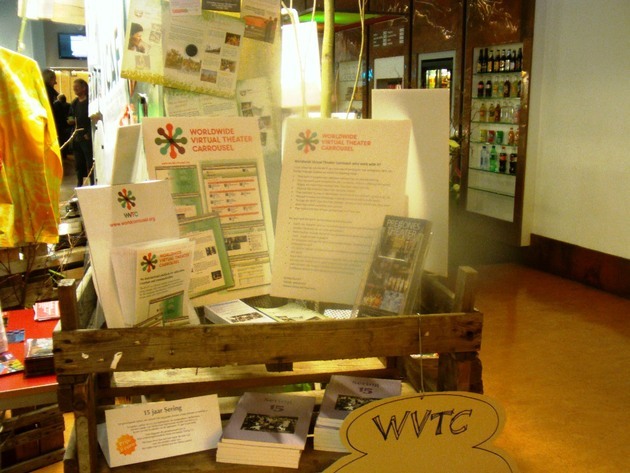 Where visitors of the website become fellow creators of World Carrousel projects.